The Beach Club is a boutique residence steps from The Beach offering 50 one-and-two storey modern lofts with soaring 9 to 17 foot ceilings, floor to ceiling windows and exquisite finishes from 457 sq.ft.to 1375 sq.ft. with oversized patios and terraces, balconies and juliets providing spectacular lake and city skyline views. 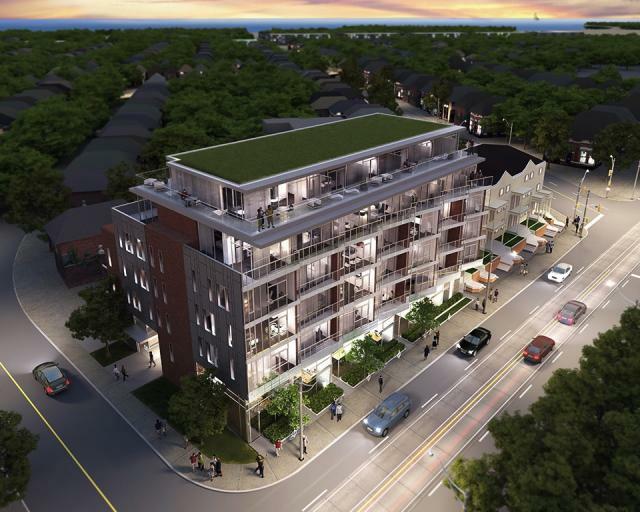 Suite selections include two-storey townhomes, studios, one bedroom to two bedroom + den, and duplex penthouse suites, starting from the low $200's.